On 4 February 2005, the United Nations Postal Administration (UNPA) issued three commemorative stamps and three souvenir sheets on the theme "United Nations General Assembly at Headquarters - Celebrating the 60th Anniversary of the United Nations". The stamps were hand-engraved by the world-famous stamp designer Czeslaw Slania, of Sweden. The stamps, in denominations of 80 cents, F.s. 1,30 and E 0,55, measure 50.34 mm horizontally x 35.5 mm vertically, perforation to perforation. Perforation: 12. The vertical sheets of 20 stamps have four marginal inscriptions, two in the left margin and two in the right margin. The marginal inscription consists of the 60th Anniversary of the United Nations logo. One copyright symbol will appear in the lower left margin. In commemoration of the sixtieth anniversary of the United Nations, three souvenir sheets were issued by UNPA. The souvenir sheets, in denominations of $1.00, F.s. 3,00 and E 2,10, measure 100 mm horizontally by 80 mm vertically. The stamps on each souvenir sheet have no perforations and measure 50.34 mm horizontally by 35.5 mm vertically. The stamps and souvenir sheets were printed in offset and intaglio by Banknote Corporation of America, Inc. (U.S.A.). The stamps were engraved by Czeslaw Slania (Sweden). Mr. Slania was born near Katowice, Poland, in 1921. When he was six years old, his family moved to Lublin. Even as a small boy, he demonstrated advanced talents for drawing and producing miniature engravings. When he was older, he enrolled at the Academy of Fine Arts in Krakow, recognized as one of the best art graphic centres in Europe. Mr. Slania's diploma engraving was an interpretation in the small format of the Polish artist Jan Matejko's grand painting "The Battle of Grunwald" about the battle of Grunwald/Tannenberg in 1410. For this work, Mr. Slania was awarded his diploma with a special honour. While still a student, Mr. Slania was employed by the Polish Stamp Printing Works, where he learned to engrave in steel, a harder, more demanding metal than copper. The first stamp by Mr. Slania was issued in Poland on 24 March 1951. Having engraved 23 stamps, the young engraver went out into the world to seek his fortune. He came to Sweden in 1956. Since 1959, Mr. Slania has been faithful to the Swedish Post Office, but he is also a cosmopolitan who has visited numerous countries and areas and made stamp and banknote engravings in many of them, including for Denmark, Iceland, France, Monaco, Israel, Brazil, Tunisia, Switzerland, Australia, New Zealand, the United Kingdom of Great Britain and Northern Ireland, the United States of America, Germany, Singapore, China, Belgium, Poland, the Vatican, Thailand, Spain, Hong Kong (SAR) and others, as well as the United Nations. Having learned his craft so early and also having it as his hobby, Mr. Slania has come to engrave more stamps and banknotes than any other engraver. His stamps have received the highest awards. He has been Court Engraver in Sweden since 1972. He has also received the Order of Saint Charles and the order Merite Culturel in Monaco and the Dannebrog Order in Denmark. 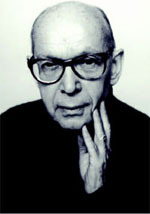 In 1983, he received the Robert Stolz Music Prize for the "Music" stamps in Sweden. In 1999, he was awarded the highest order from Poland, the Commander Order, by the Polish President. In 1986, he produced engravings for six United Nations stamps on the theme "Philately - The International Hobby". Two of these stamps reproduce engravings that show Mr. Slania at work, hunched over a polished steel die. In 1997, six stamps incorporating the 1986 designs were issued to pay tribute to philately. His 1,000th stamp was issued in March 2000 for the Swedish Post. In commemoration of this milestone, a commemorative stamp on a souvenir sheet was released, which remains one of his finest pieces of work. There are Slania clubs in several countries, and there is also a great interest in non-postal engravings by Mr. Slania. For example, he has engraved portraits of kings, queens, political figures, heavyweight boxing champions and film stars. As of October 2004, Mr. Slania has engraved 1,070 stamps, most of them (approximately 400) for Sweden. In August 2000, the Guinness Book of Records awarded him three world records. Because of the number of items he has engraved and the beauty, speed and proliferation of his engravings, Czeslaw Slania is the world's most famous engraver. After graduating college in Melbourne, Australia, Robert Gray worked in the advertising industry for many years. and corporate advertising on stamps. Postal Administration in New York. In his capacity as Chief, he has been instrumental in introducing new marketing ideas and approaches which has resulted in increasing UNPA's business profits as well as the number of new collectors. His introduction of Personalized Stamps to the United Nations was a major accomplishment and has been credited as a huge success. He left in 2011.